Primary Learning and Teaching | Learning and teaching strategies to try in your own primary classroom. Learning and teaching strategies to try in your own primary classroom. Learning a story in Year 1. Splash! Anna Hibiscus. Today I introduced my Year 1 class to this story without sharing the book. Well, without sharing the book to start with. Our school have a real push on writing at the moment, although I can’t think of a single school who hasn’t. We are giving the Talk for Writing strategy a go in every class and sharing good practice regularly. Working walls are becoming busier and used more effectively. We are working hard on writing and know that the reading phase is a huge part of making good progress. Today I shared a number of images that represented the plot, setting and characters within the story. Using “magic” microphones (laminated images) they worked with a talk partner to discuss what they thought might happen in the story, who the characters might be, where the story is set or what the ending could be. We ended up creating some really interesting verbal stories using the images given. None that were the same as the real story of Anna Hibiscus though. Then we moved to questions. Using a question hand I modelled verbal and written questions building up a verbal success criteria as we went along. The children worked in threes to come up with a range of questions they wanted to ask about each image from the story. This activity focused the children on the images that represented parts of the plot without it being a dull sequencing lesson. In Year 1 it is hard to find lots of different ways to sequence a story without resorting to strategies you’ve taught many times before. This was a new strategy for me, inspired by one of our literacy consultants. The visualiser was used to encourage the children to self-correct their spellings, choose different question words, consider adjectives to use and remind them about punctuation. In essence it was a verbal reminder of the success criteria which worked well to teach the children about making choices in their writing. Following this we read the story and the children were extremely keen to find out whether their ideas were right. They were surprised that the bucket and spade was used to bury one of the characters on the beach, as no one had come up with that idea. It made them realise that their first idea isn’t always their best and that authors have different ways of using objects within their stories. They then used coloured pencils to answer their own questions. 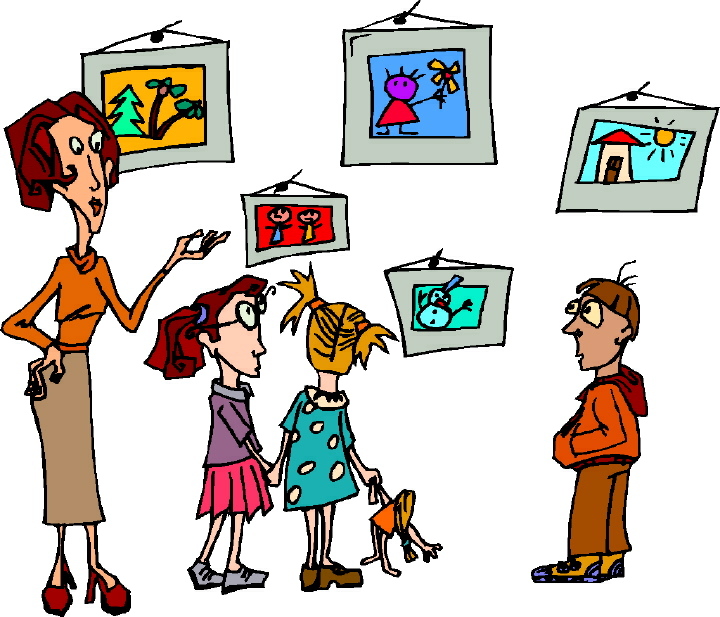 I hope that by having a solid knowledge of the images that were linked to the plot of the story, this class will be able to recall the story more effectively next lesson so watch this space! I absolutely loved seeing them work so independently. Year 1 children grow so much in this school year and they made me ever so proud today. My colleague and I at Euxton CE Primary have developed a KS1 topic curriculum which we use to teach our Year 1 and Year 2 classes on a two year rolling programme. It has had many incarnations over the past 5 years and is currently being adapted and reviewed on a half termly basis. It fits in with the new National Curriculum but if you do use any of the units on a stand alone basis, you will need to ensure you have covered all of the new requirements. Ofsted liked it, but that’s just an added extra bonus. We like it. It works for us as it is open ended and flexible enough that we can use it as a tool rather than being tied to it, things change in school sometimes and occasional “theme weeks” can impact on it’s use. It isn’t perfect, it isn’t detailed and it isn’t a scheme hoisted upon us without consultation. It is ours and we are sharing it with you in the hope that it can help you with a smidgeon of inspiration if you are creating your own topics. Here are the units that we have updated in the last 2 academic years. They are open ended and can be used however you wish. Please let us know if you share them in your school or with other teachers, I am @teachAdele on Twitter, Mairi doesn’t tweet or blog…yet! You can find our school’s curriculum maps here (Y1) and here (Y2) which contain all the programmes of study which are covered in the units for the academic year 2014/15. This unit “Respect” was created by us to be used in the Lancashire Prevent Strategy for Schools. It is available at the web address above to be shared freely. Differentiation. Challenge for all. Same thing, different wording. Something I’m trying very hard to consider when planning for Year 1 at the moment. Especially ways to ensure the children are fully challenged when working independently in their continuous provision areas. The children sign a sheet in each area so that I can see that they’ve completed that activity (or wandered past and signed it quickly so they can work outside!!) but I wanted to enable them to challenge themselves. We had a practical maths twilight a few years ago so I raided the network to remind myself of the good ideas that were shared with us by the Lancashire maths team. Number square jigsaws were one of their suggestions. 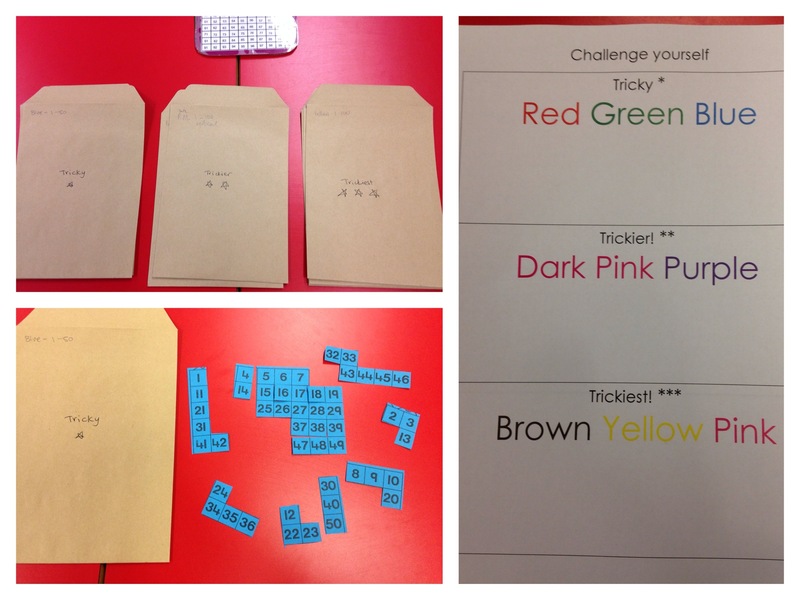 Envelopes labelled tricky, trickier and trickiest with a corresponding star rating contained number squares that had been “jigsawed” if that is a word. Each envelope was also labelled with the colour of the number square jigsaw, this was because I am a fan of colour and so that they could put them all back in the right place! I’ve done this sort of activity before but this time I included a “completed” sheet. This showed clearly the hierarchy of challenge and could only be signed by the children if they completed a particular jigsaw. I think this extra sheet gave the activity that extra lift that I have been looking for. The children were determined to challenge themselves and were excited to show me which level of challenge they had aimed for. They even went home and told their parents, I received a tweet saying “J tells me he tried trickiest. Glad he’s aiming high #mathsteachermother”. This child had also helped other children to complete their challenges. Have you any examples of ways to encourage challenge in your continuous provision areas? Please share them via the comments. Cheese? We’re all crackers about it. Linking learning, I love it. I have embraced the creative curriculum and co-created a rich and outstanding KS1 curriculum which links learning wherever possible, but never tenuously. We work really hard to make sure that we hit all the national curriculum requirements in our own unique way. As a child, I was the one who believed London was in the middle of the country. This was until I discovered maps. Paper maps. 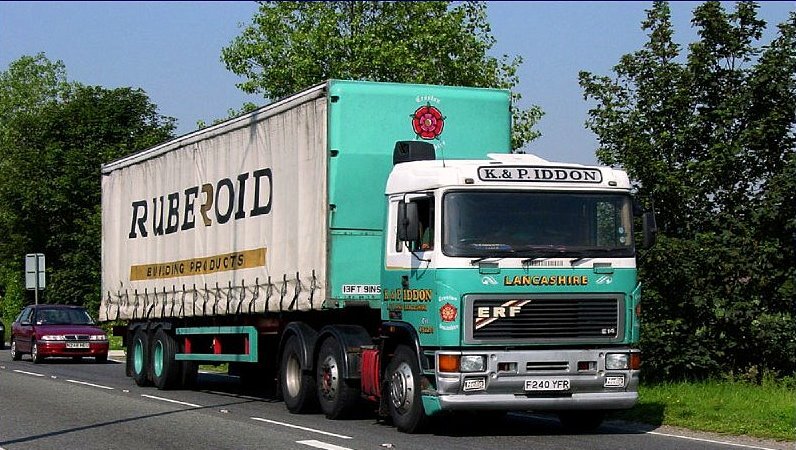 My dad was a long distance lorry driver and so I travelled all over the country with him, in a beautiful Seddon Atkinson truck called Stray Cat, reading maps and attempting to draw my own. My dad was nicknamed Mouse, therefore by default I became Mini Mouse. That was my CB handle, my first foray into social networking back in 1985. I’d warn other users of 4×4’s ahead (police cars) and of skateboards in the suicide lane (cars in the outside lane) driving too fast. I firmly believe that children need to understand their own sense of place in the world and to understand where things happen in relation to where they are. As an adult I have lived all over the world and I like to include map work where possible to show children that their world is bigger than they think. After several years in Year 2, teaching “Grouping and Changing Materials” in science became in need of a shake up. A bored teacher does not inspire her class. Enter the cheese. 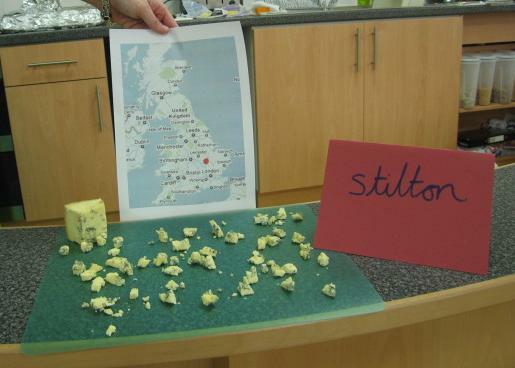 We recorded the locations where the cheese was produced on maps. We sniffed the cheese and recorded our findings in a table. 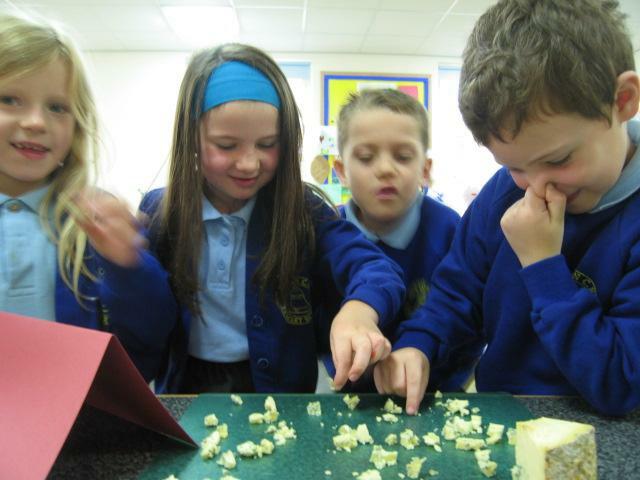 We tasted the cheese and recorded our findings in a table. 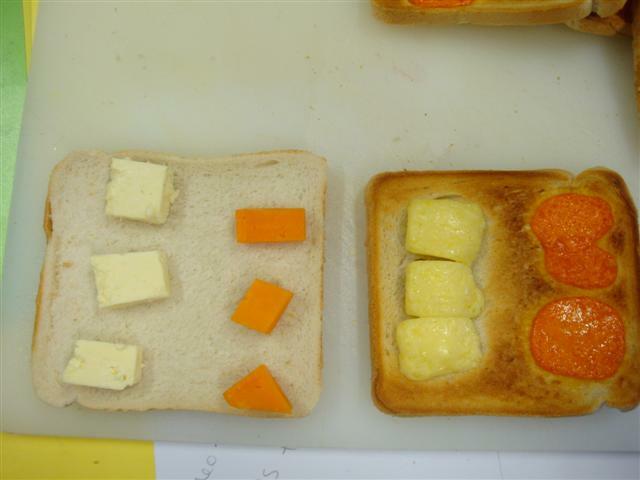 We made predictions about which cheese would make the best cheese on toast and why. We made cheese on toast with the 2 final choices of cheese (stilton wasn’t a finalist surprisingly) and compared them. We observed and recorded the changes to the cheese as it melted at specific times. 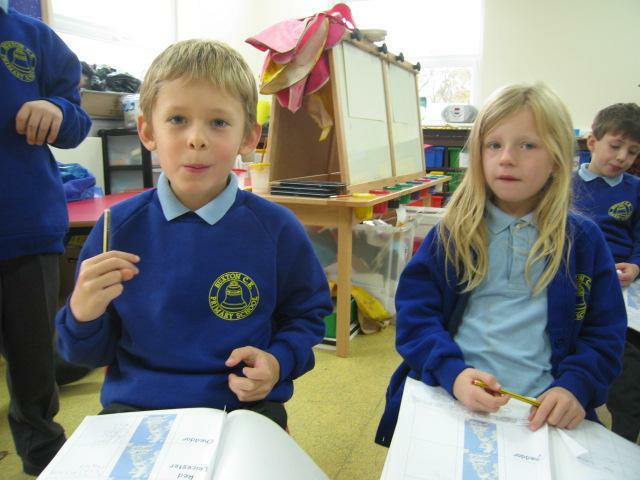 We inserted photos into Textease and wrote captions describing the changes we had seen. We wrote information texts about cheese. We persuaded our parents to buy different types of cheese. 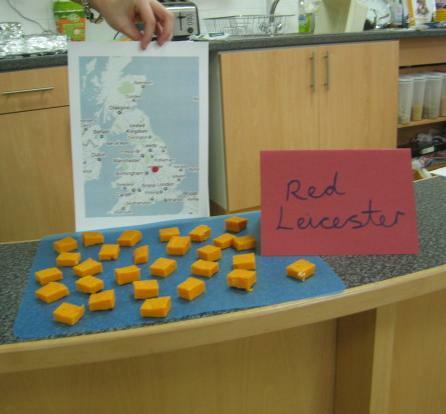 We researched cheese makers and invited a local producer to talk to us. We were enthused for learning about grouping and changing materials again. In my opinion, there isn’t much in the world that can’t be improved with a little bit of cheese. How have you taught this concept in an engaging way? Share your ideas in the comments below. In other news, if you have read my blog and enjoyed it please email voting@ukedchat.com saying “I vote for primarylearningandteaching.wordpress.com” and I might win an award. Or a sticker. I’d be happy with a sticker to be honest. I am brand new to blogging but am finding it to be a fantastic learning tool already. School trips – worth the hassle? With the arrival of the “creative curriculum” and the idea that teachers need to hook children in to their learning, engage them in their learning and inspire them to want to learn, the school trip is fast becoming the holy grail. These negative aspects do need serious consideration when planning a trip, but they should not be a reason to give up on the idea of taking children out of school for educational visits. Together with my colleague Mairi, we created a vibrant KS1 curriculum which features plenty of enrichment opportunities for learning outside of the classroom. Part of our ethos is that we both like a challenge and we both like to plan a trip at least once a term if not more frequently. Our headteacher told us we needed to reduce the costs so we now have an understanding relationship with a local public bus company. They have decided it is better for them to know when we are heading out as opposed to finding 75 of us waiting at the bus stop! The first time that this happened our learning was all related to tree types, leaves and signs of spring. If you ask the children, they ONLY remember the fact a double decker bus was sent to collect us, however their writing and science work tells a different story. I have a confession to make. I am a BBC-oholic. I think that they have produced, and continue to produce, many resources that help make teaching more engaging. Their resources for primary schools are used widely but with changes to the curriculum over recent years they have been chasing concrete information from teachers so that they can continue to create content that could be used in the classroom. They ask teachers to help them with this and give us the grand title of “BBC Learning Consultant”. Our job is simple, to give feedback on current projects as well as to share changes to the curriculum and our profession in good time for the BBC to act upon. This is not an easy task, many is the time we have sat around saying unhelpful things like “well, some teachers might use that as their topic,” and “the resources need to be open ended and easily link to other things.” Super helpful, obviously! 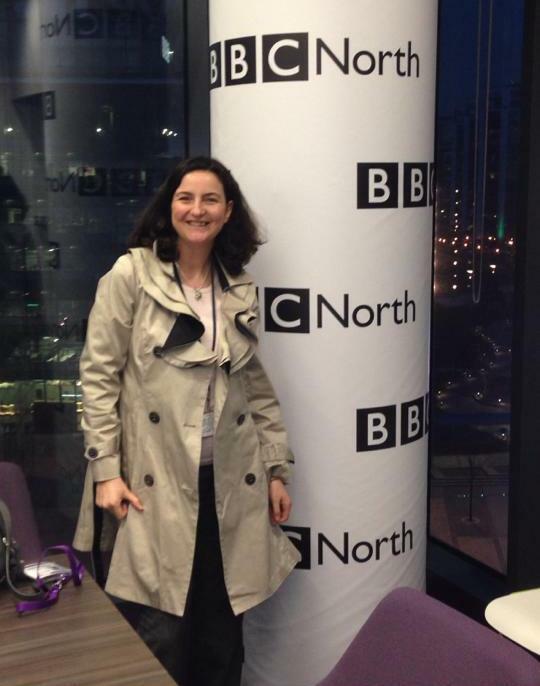 In 2009 I was involved in a project which introduced me to the BBC Learning in the North team, I’m proud to be a small part of this team now and love it when the email pings in asking for involvement with a new project. I try to share the projects around school with teachers who may have more experience than me in that area of learning. The opportunity to be part of a professional discussion relating to content that may be available in the future via the BBC is too good to miss out on. I find that the opportunity to pose in their swanky Salford Quays office is also too good to miss out on! Something that always seems to come out of every meeting is the fact that teachers want open ended resources that they can use in any way they want. Prescriptive lesson plans are out, and in needs to come content that can be used across the curriculum, creatively, and in whatever way the teachers see fit. We have been giving this message for a while, and as they say, good things come to those who wait. Click the above photos to go to the iWonder home page. In the words of Chris Sizemore, executive editor, “BBC iWonder provides thought-provoking answers to the questions sparked in your everyday life”. A very simple quote to describe what is quickly becoming a vast resource for teachers and children to access. It was launched with a WW1 slant and now has content linking to many areas of the curriculum with much more content in the pipeline. I took a couple of Year 6 children to an initial meeting about the iWonder concept where they created their own guide and were filmed working on it as well as discussing how they had chosen the content for it. Creating your own guides is a concept that would be useful for schools, this potentially could be a feature in the future but there are no promises from the BBC on this. The guides are available online, across all platforms, and open up many opportunities for learning. I particularly love that each audio part of the guide comes with a pdf transcript which is great to support your visual learners as well as your auditory ones. They can be used to encourage the children to generate their own questions as well as to involve them in making discoveries more frequently. Something that we, as educators, know is an important facet of learning. Ownership. Take a look for yourself, and you will see that the possibilities to enhance the learning of the children in your class are phenomenal. The best thing about it for me is that there are no prescriptive lesson plans. Simply, do with it what you wish for your learners. Let them wonder. The first time I was ever invited to join a BBC discussion resulted in these films being made. The brief was to create films that would help the children to have a sense of place, specifically in the North. My love of sculpture must have come across well and the decision to create these films was made. The Blackpool one features children from our school. This activity which I love, love, love (during a science week) drew an awful lot of attention from both staff and children. If you click on the photo it will take you to Euxton CE Primary’s webpage dedicated to this activity. The heart was drawn with 2 torches. We also managed to work out how to write words by photographing individual letters and consequently. these were made into signs for the classroom doors. A wonderful way of encouraging collaboration with the children. The photographer had to direct the torch wielder in order to produce a specific image. The role they had to take on changed depending on what they had decided to do before they went into the dark den. The language of direction was used extensively and the children began to delete images from the camera independently. If you have a go, please tweet me some photos of the pictures you make with your children. 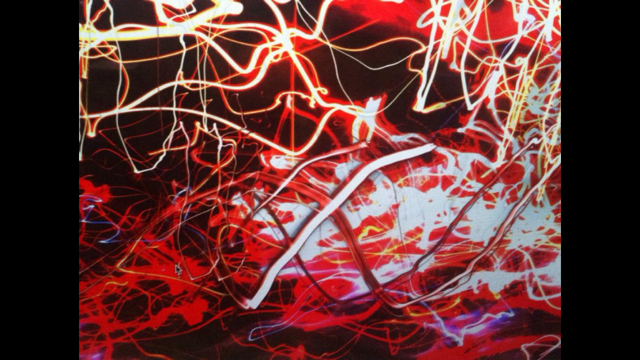 Here is a photo sent from https://twitter.com/ColinGrand taken by one of his AS photography students at Darwen Aldridge Enterprise Studio. It shows what a versatile idea this is. I was using it as a way of working collaboratively, but I expect Colin’s pupil has been learning all about the photography skills needed to produce an image like this. Thank you Colin for letting me share this.